Mint season, commence. 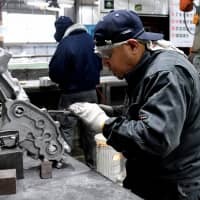 The arrival of warmer weather means everyone in Japan gets pumped for mint-flavored sweets, from special-edition offerings to staples such as the revered Crunky Mint ice cream bar. One of 2018’s more creative twists on mint-flavored desserts comes courtesy of chocolatier Max Brenner. 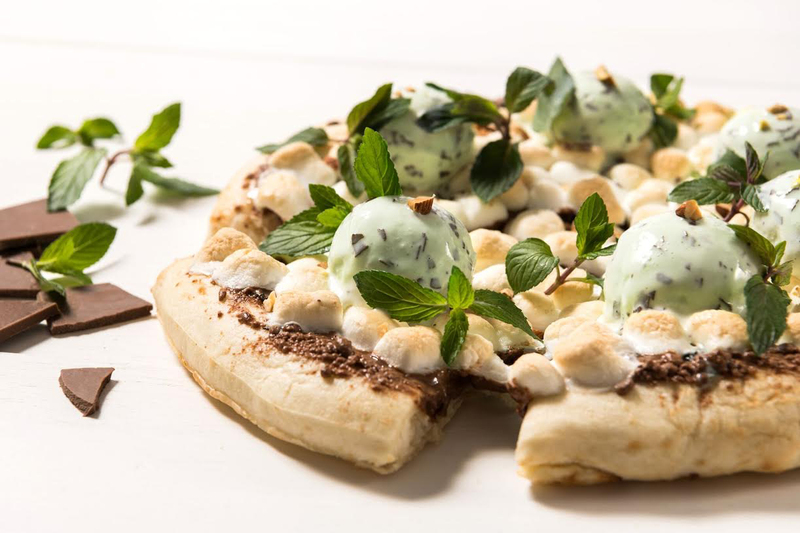 Starting this month and running until the end of August, stores in Japan will sell a Fresh Mint Chocolate Pizza. 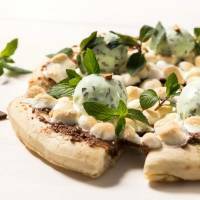 The sweet pie (¥520 for a slice, ¥2,800 for the whole thing) takes the brand’s well-known marshmallow and chocolate dessert pizza and tops it with scoops of mint ice cream, mint leaves and non-theme-appropriate roasted almonds. The base pizza is a solid creation, albeit the sort of hypersweet food that should only be consumed once. The summer special doubles down on this, as the scoop of mint ice cream throws even more sweetness into the mix. But the flavors blend well because, well, chocolate and mint, that’s tough to mess up. The mint leaves on top add extra punch, but might be a little too much given how potent the ice cream is. That said, a single slice of this on a hot day is a nice way to change up your usual mint cravings.